Good morning! Rise and shine! Wakey-wakey! Tofu scramble and vegan-bakey! (Or whatever it is you eat for breakfast.) Early morning yogis spring out of bed, scamper to the kitchen, and pour themselves a warm cuppa whatever it is they drink first thing in the morning. (Have you tried Crio Bru? Decaf deliciousness!) Then they look outside at the bright blue winter sky…. And half a foot of snow. “Noooooo!” They collectively lament as they receive a ping from their inbox. Morning yoga has been cancelled. But that is the only class I can make this week! But I can get out in this weather! Where is that shovel? It will only take me…. Oh, darn…. A couple of hours to dig out my car…. Snow in Kentuckiana is inconvenient to say the least. Our precarious position between the north and the south may mean for milder winters, but it also means that inclement winter weather really throws us for a loop! Your yoga practice does not have to be thrown for a loop, however. Days that we cannot make it to the studio to practice are golden opportunities to deepen the home-based component of our yoga practice. Sometimes we tend to think of our practice dualistically: there is the practice that we do at the studio, and there is the practice that we do at home. It is important to keep in mind that our practice is our practice! Even if form of the practice changes -we practice at home instead of at the studio, instead of our usual Hatha Yoga class we try Kundalini, we read a translation of the Tao Te Ching itself instead of Dr. Wayne Dyer’s Change Your Thoughts, Change Your Life– it is still the same practice. Yogi, you know what to do. As a yoga teacher, over the years many yoga students have expressed to me that they would like to do a yoga practice at home in addition to what they receive at the studio, but they aren’t sure what to do. Our yoga practice is our journey to inner peace through mental stillness. 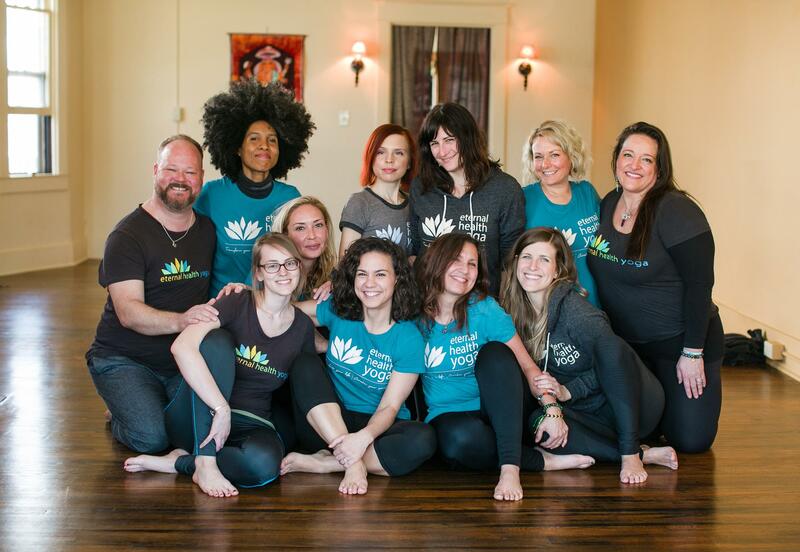 Anything that supports us in that process can be incorporated into our yoga practice. In other words, we cannot do our practice “wrong”. We don’t have to skip our practice because the studio has to cancel classes due to dangerous weather conditions or because we feel unsafe to drive. Like winter in Kentucky, we can simply enjoy the -sometimes unexpected- form our practice takes on any given day. A practice for a winter day. If I still haven’t convinced you that you -like Dorothy clicking her heals three times- have the answers to your impromptu home practice inside you, please enjoy this warming sequence on a chilly winter day! Begin in Tadasana (Mountain Pose). Set an uplifting intention for your practice. Enjoy two to four cycles of Surya Namaskar (Sun Salutations). End in Tadasana and remind yourself of the intention you set. Vrksasana (Tree Pose). Focus your gaze on something that won’t move. Find your balance over your right leg. Work with Vrksasana on this side of your body for about one minute. Return to Tadasana and then try the other side. Virabhadrasana II (Warrior Pose II). From Tadasana turn to face the long end of your mat. Step your feet about three or four feet apart. Keep your left foot facing forward and turn your right foot towards the right. Extend your arms out at shoulder height. Bend your right knee so it stacks over, but not beyond, your right ankle. Gaze out over your right fingertips and remind yourself of your intention. Maintain this pose for about five to eight breaths. Straighten your right leg. Repeat the entire sequence to the left. Prasarita Padottanasana A (Wide-Legged Standing Forward Bend A). With your feet still far apart, place your hands on your hips. Stand as tall as you can. Fold in half and place your hands on the mat. Take five to eight breaths. Slowly return to standing. Step your feet together. Return to the front of your mat. Stand in Tadasana. Remind yourself of your intention. Dandasana (Staff Pose). Sit on your mat. Extend your legs forward. Keep them straight. Sit as tall as you can. Gaze towards your big toes. Take five to eight breaths. Baddha Konasana (Bound Angle Pose). From Dandasana, bend your knees. Bring the bottoms of your feet together. Open your knees towards the side of your mat as if you were opening your legs like a book. Gaze towards your big toes. Sit very tall or come forward with a flat back. Take five to eight breaths. Return to Dandasana. Remind yourself of your intention. Setu Bandha Sarvangasana (Bridge Pose). Lie down on your mate. Bend your knees. Place your feet on the floor so that your heels are directly below your knees. Place your hands beside your hips. Lift your hips up pointing your tailbone toward your knees. Take five to eight breaths. Lower your hips to the floor. Bring your knees toward your chest. Hold on to the back of your thighs or your shins with your hands. Breathe. You can stay here as long as you like. Supine twist. With your knees bent towards your chest, extend your arms out to the side like a capitol letter “T”. Take your knees toward the right. Twist and turn your chest and chin toward the left. Take five to eight breaths. Bring your knees back to the middle and repeat on the other side. Savasana (Corpse Pose). Extend your legs along the floor. Relax your arms to your sides. Close your eyes. Rest. Stay here for at least ten minutes. Gently sit up. Pause and remind yourself of the intention you set at the beginning of your practice. Thank yourself for practicing. May your practice be of benefit to you and everyone you encounter during your day.